Why Should You Buy Affordable Homes in Gurgaon? Have you been bearing the teasing pain of paying rent every month? If yes, you would like the idea to buy a home in Gurgaon where you can live comfortably. And you can commute from here to your job place very easily and you can have freedom from paying a large amount of your salary every month. I understand, the thought of paying monthly rent is not always a joyful experience. Everyone is teased by the idea when it comes to pay a huge amount as a rent. But, What to do? If you don’t have a huge amount of money to buy a luxurious flat for 50lacs, this question remains unanswered for you. But now there is good news for those people like you who have good salary but don’t have a sufficient amount of money to invest right now. Actually there are some affordable projects like Global Heights developed in the great location in Gurgaon. One thing which can bring smile to your face is that these flats with Global heights Gurgaon are available at very low prices starting from only 12lacs. And the second thing is that these flats are allotted by the draw. The lucky winner has to pay a part of the total cost of the property at the time of allotment, and rest is paid in easy installments. If you have good salary and you are able to save a certain amount out of your total salary, you can easily pay your installments. How to choose right affordable housing scheme? 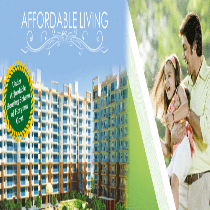 3bhk affordable homes price ?